Immediate when seconds count. 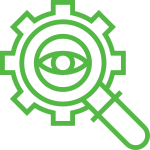 Delivers accurate, reliable and always-available wrong way detection, prevention and notification – flexible to meet your requirements and budget. 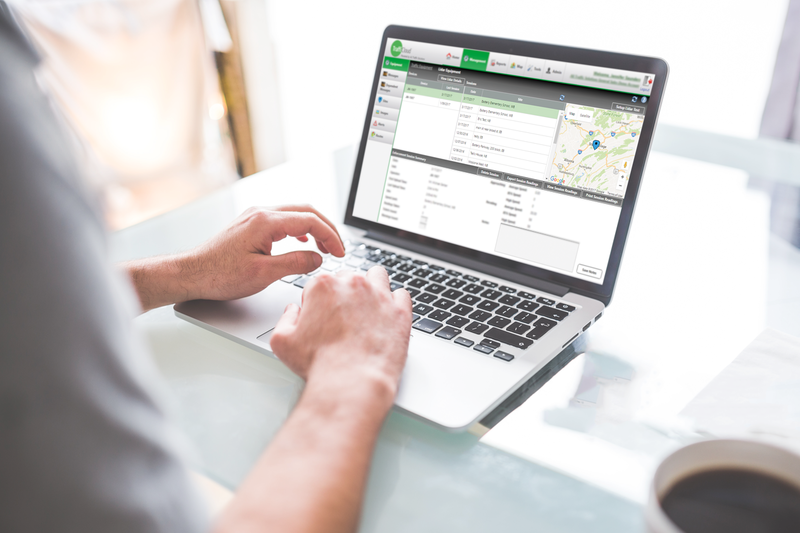 Help customers, employees and tenants select the best route before they hit the road. 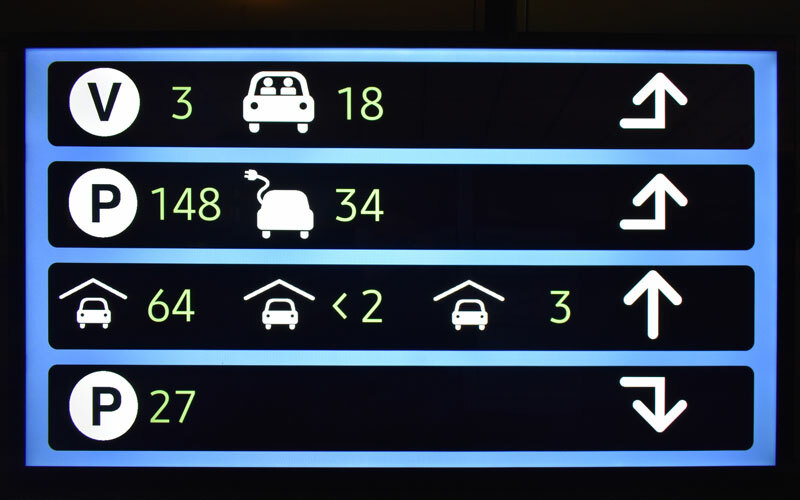 The DriveTimes Virtual Display shows drivers the time to destination for multiple route choices so they can plan their trip as they head to their vehicle. 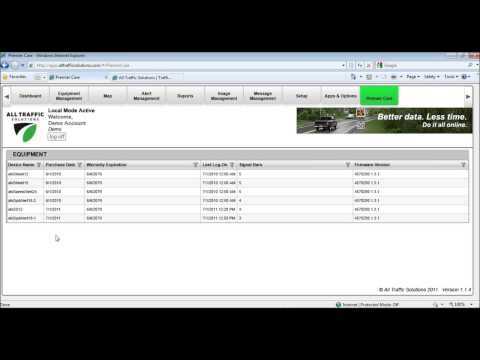 Create multiple routes using the TraffiCloud user interface. Travel time data is sourced via our exclusive arrangement with TomTom. With up to five different route options displayed with the travel time for each, drivers will know to take the optimal route. 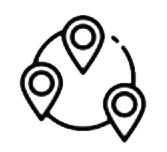 Define routes using a web-based interface linked to a cloud-based travel-time data source that aggregates multiple historical and live sources of traffic data to provide accurate, live travel times without the need for in-road sensor infrastructure. 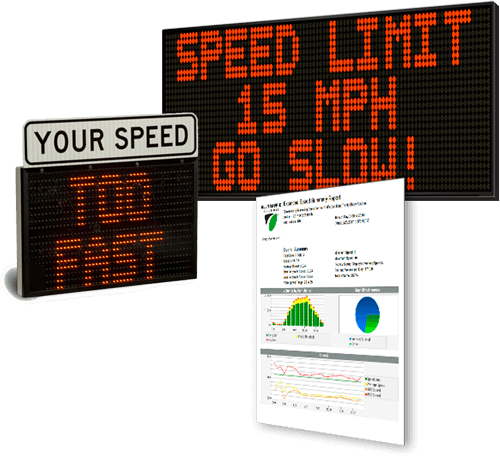 DriveTimes integrates seamlessly with our TraffiCloud message deployment platform for use with variable message displays and other devices. 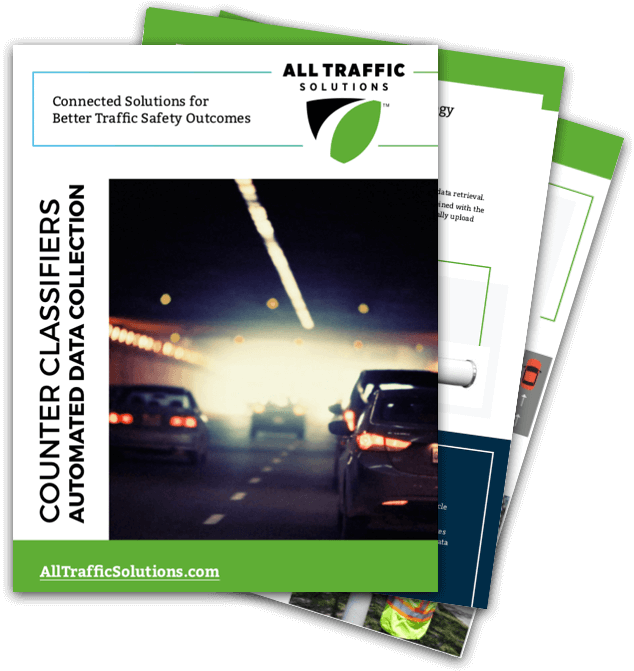 Our web-enabled counter classifiers solve the challenges of counting and classifying vehicles, even in high-volume traffic. 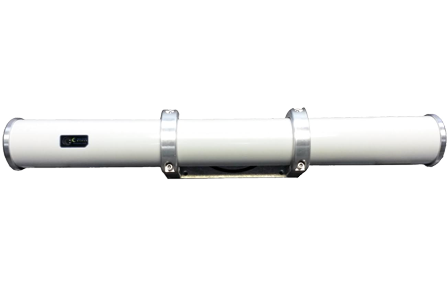 Road tubes are inconvenient and dangerous to install, intrusive on the road and easily damaged by continuous wear or vandalism. In high volume traffic they become less reliable. Plus, installing road tubes uses resources needed elsewhere. Most importantly, placing personnel out on a road to install or move equipment is potentially dangerous both for them and for drivers. Devices weigh as little as three lbs. The latest developments in technology-based traffic equipment that make it easier and less time-intensive to gather essential data to execute a successful traffic study. 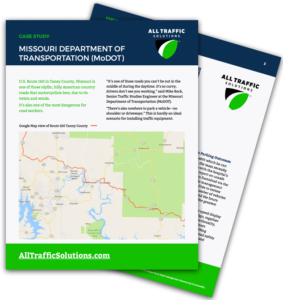 MoDOT collects timely, accurate data for traffic study without risking worker safety or taking hours out of the field. 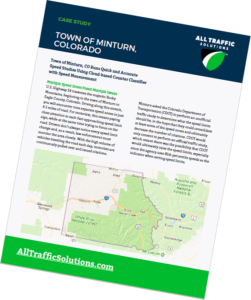 Town of Minturn, CO runs quick and accurate speed studies using StatTrak cloud-based counter classifier with speed measurement. TrafficBridge™ makes it possible to build and manage your integrated traffic management ecosystem in one place, so you can realize the future of total traffic management today with TraffiCloud™.  With TrafficBridge, you can now leverage the power of TraffiCloud across all your sensors, signs and devices—as well as external data and regardless of manufacturer—to get a complete picture of your traffic program. TrafficBridge™ is a customizable cellular gateway powered by a simple, small box you attach to each piece of equipment that lets you manage all your devices and data in TraffiCloud. 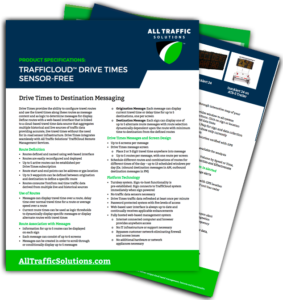 Get the power of TraffiCloud across your entire traffic management program, consolidating all your equipment on one platform, freeing your organization from the traditional constraints of having to use one manufacturer for all your hardware. 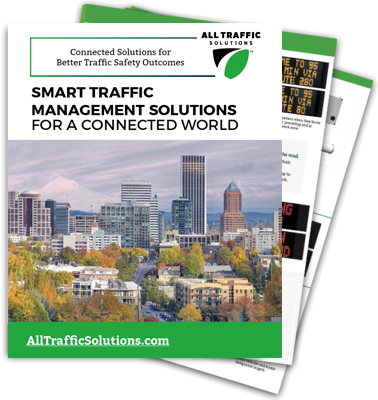 TrafficBridge unifies your existing traffic infrastructure by turning your devices into ‘smart’ connected devices that work together in our TraffiCloud traffic management ecosystem— increasing the functionality of each component of your traffic management program. TrafficBridge connects all your present and future traffic signs and devices, regardless of manufacturer. 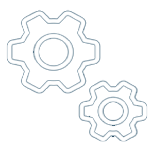 Best of all, we manage the integration for you, so you don’t have to contact each manufacturer to make it all work. cloud-based platform for total access and control. Connecting to TraffiCloud with TrafficBridge, you always know—in real time—how your entire traffic program is performing. 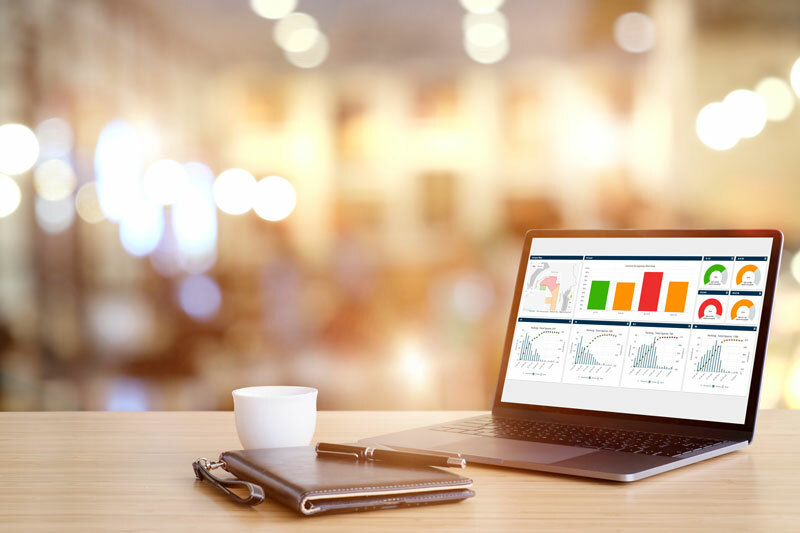 You get fast retrieval of powerful data and analytics for efficient prioritization, more informed decision-making and precise program measurement. 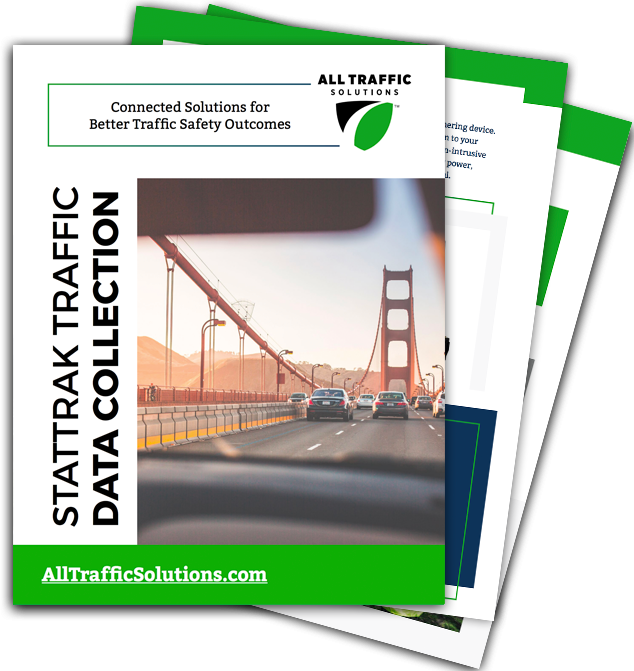 Take full advantage of data gathered from across your entire traffic system into TraffiCloud for new insights and perspective, and faster reaction time. To learn about the TraffiCloud ecosystem and find out more about our current TrafficBridge partners, contact your sales rep or call 866.366.6602. Request your personal TraffiCloud demo. All your equipment and data. All in one place. 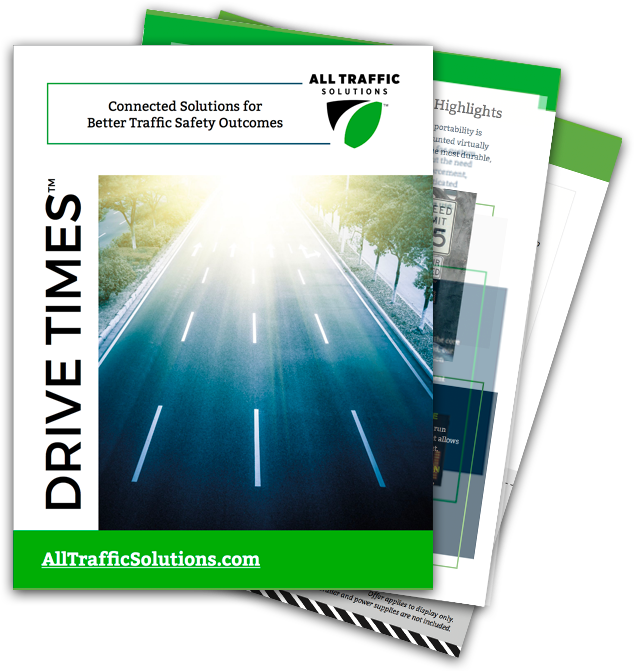 Manage every component of your traffic safety program with the TraffiCloud*. TraffiCloud is All Traffic Solutions’ secure, web-based ecosystem for managing ALL your traffic safety equipment. While our best-in-class hardware helps improve your traffic flows, complimenting this equipment with our TraffiCloud helps improve your workflows. 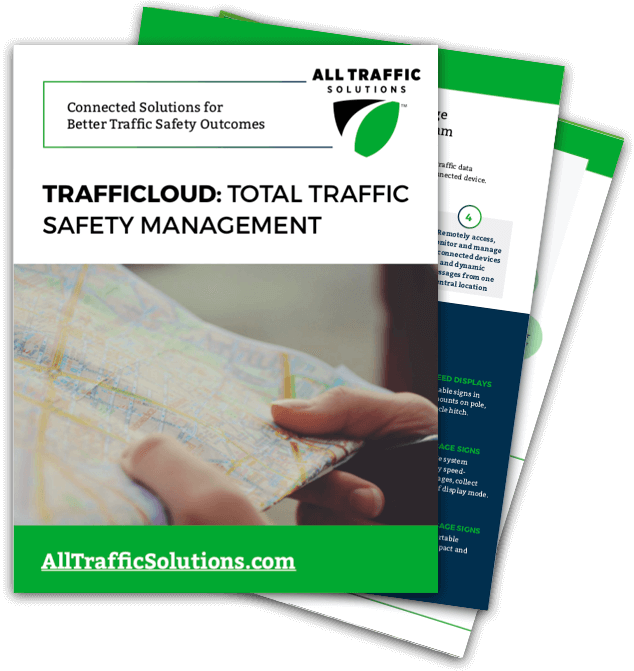 Leveraging a consistent interface across all your traffic management equipment, TraffiCloud provides a new level of awareness while reducing the amount of time needed to manage your equipment and information. *Our industry-leading TraffiCloud leverages our patented technology (US Patents 8,417,442; 8,755,990) to deliver unique cloud-based management features and functionality. 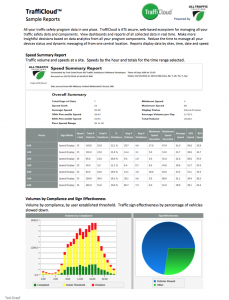 The TraffiCloud Traffic Suite includes all the features you need for effective and efficient traffic program management. Traffic Suite features can also be purchased individually. 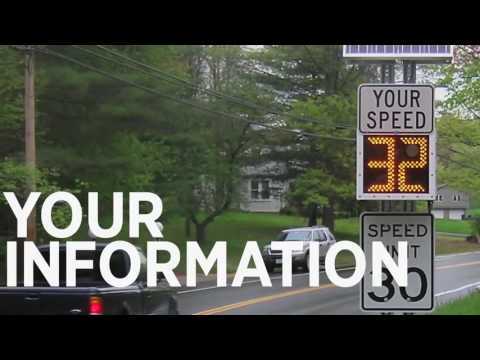 Click on a video below to learn about everything the Traffic Suite has to offer. 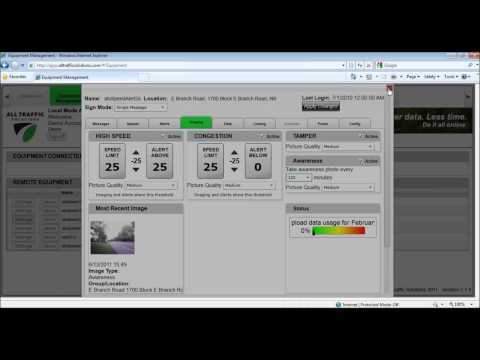 Equipment Management: Manage your equipment settings from any Internet-connected computer. 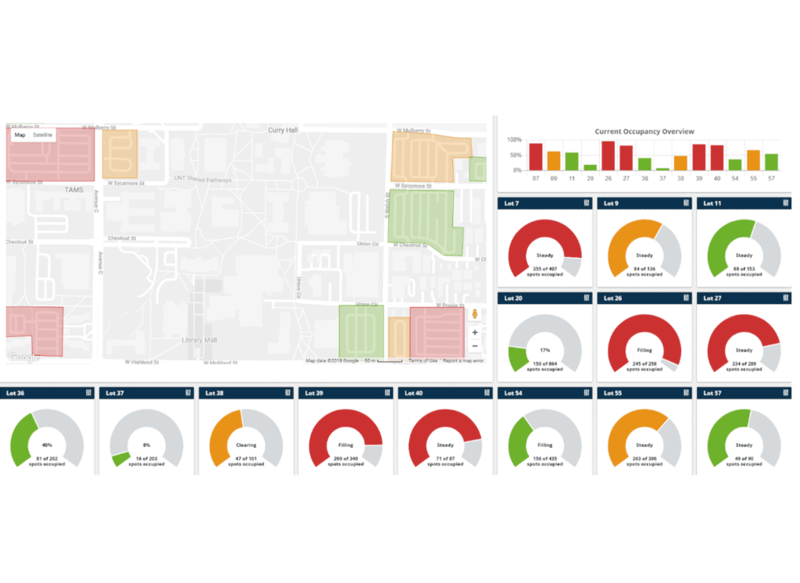 Mapping: Visualize your equipment and data on an interactive map that provides a window to your entire traffic management program.  Reporting: Generate and share reports from your traffic data to communicate with your constituents and prioritize resources. Alerts: Set thresholds for high speed and congestion, and be alerted to low battery levels and tampering. Imaging: View images related to alert thresholds, or generate awareness images based on a preset frequency. Review and act on useful images. 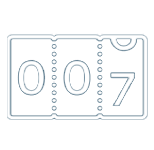 Images can be used to identify vehicle make and color, but are not license plate recognition quality. 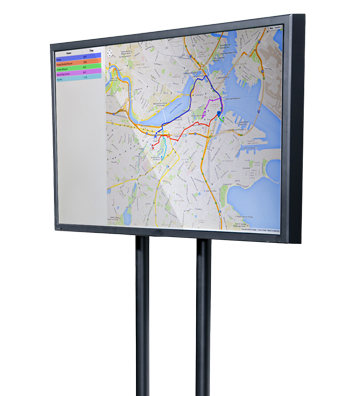 DriveTimes: Sensor-free Time-to-Destination technology displays live travel times for custom routes based on Internet travel time data (see our Solutions page for more details). PremierCare: A perpetual warranty as long as your unit remains subscribed to the TraffiCloud. TraffiCloud lets you do more than ever before. 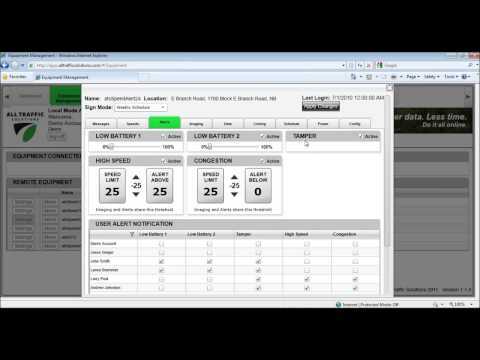 Manage your equipment settings from any internet connected computer. 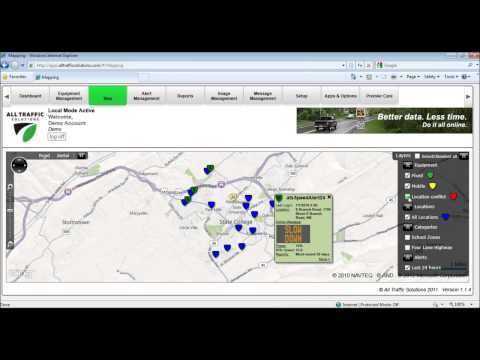 Visualize your equipment and data on a map of your community, kept up to date with sign’s GPS data. 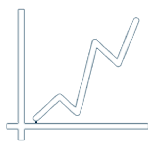 Generate reports from your traffic data to communicate with your constituents and prioritize resources. 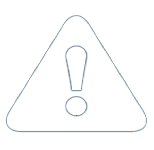 View images related to alert thresholds, or awareness images at a frequency you set. Set thresholds for high speed and congestion, and be alerted to low battery levels and tampering. And to top it off, a perpetual warranty as long as your unit is subscribed to TraffiCloud. Web-based Traffic Calming and Safety. Manage all your equipment and data all in one place from any Internet connected device. Insights and trusted real–time guidance based on true availability. ParkingCloud provides real-time visibility to parking utilization by collecting real-time data on parking, to help reduce circling, improve congestion, provide seamless parking flow and enhance vehicle access. Everything in one location, accessible from one dashboard, integration ready and headache-free. Complex technology made easy for you. For up to the minute availability & guidance to signs, indicators, apps, 3rd party systems or websites. 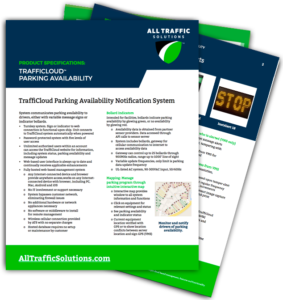 ATS’s ParkingCloud Suite is the go-to solution for all of your parking guidance needs, whether you are a small, mid-sized or large operation. 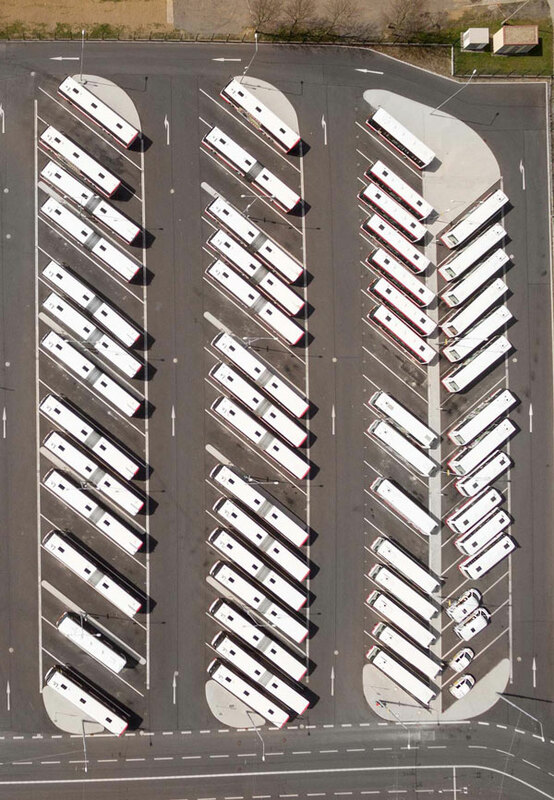 Our solutions-based approach ensures that you get the ‘right-fit, right-technology, right-sized’ turnkey configuration that provides you with the most accurate vehicle counts, flexible parking guidance and proactive data and analytics you need to optimize your parking operation, with minimal disruption to your operation, fast installation and cloud-based software. 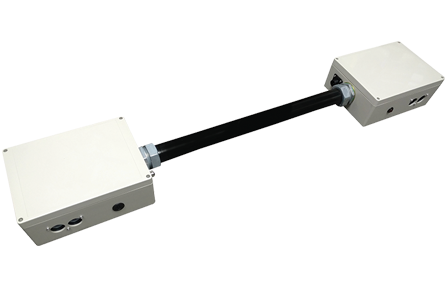 The highest accuracy rate across your entire parking system, for any size operation and budget. 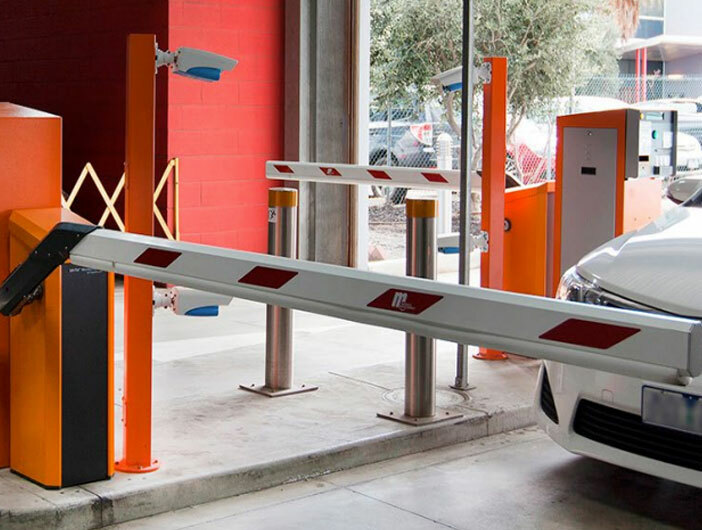 Parking guidance systems drive greater performance, increased revenue, better efficiency, increased security, safety, an elevated parker experience and increased ROI. ATS’s groundbreaking approach to making solutions available to everyone, regardless of size or complexity, is revolutionizing the parking guidance market and giving operators options never before available to them.  With the right product, dedicated advisors who know the space, the right technology partners who regard us as experts, ATS helps you solve your most complex parking guidance challenges. 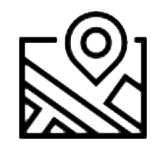 Whether you are a small, midsized or large operation, our solutions-based approach ensures that you get the ‘right-fit, right-technology, right-sized’ turnkey configuration that provides you with the most accurate vehicle counts, flexible parking guidance and proactive data and analytics you need to optimize your parking operation, with minimal disruption to your operation, fast installation and cloud-based software. Because we implement the right – fit, right technology, your accuracy rates are the highest across your entire environment. 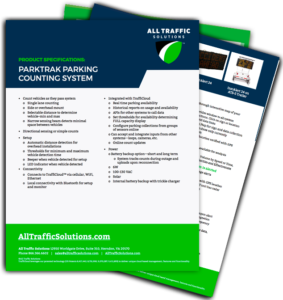 ParkingCloud’s open platform integrates with your existing parking systems, ATS’s proven ParkTrak sensor, or best-of-breed third party counting devices. 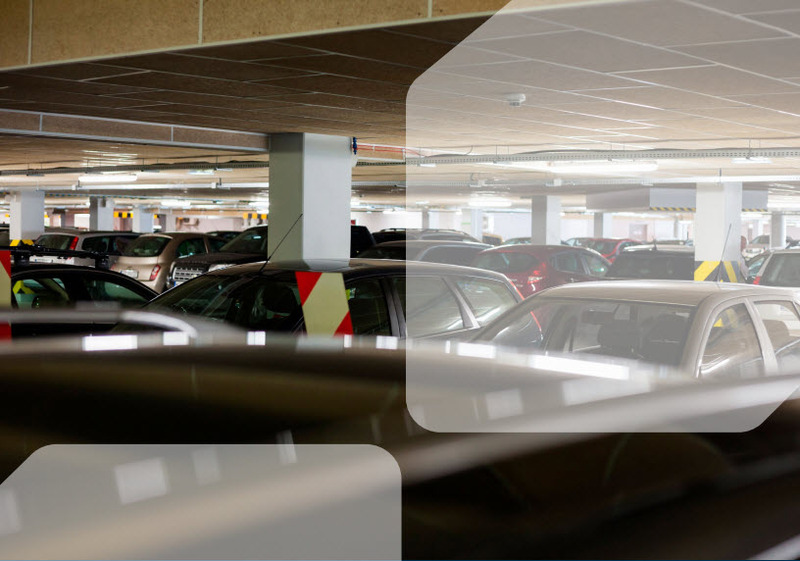 Because your parkers need to trust your data, ParkingCloud delivers the highest degree of accuracy in any environment. One system, one dashboard, one sign.  All your inventory and usage data in one place, in real -time, regardless of the system. Your signs, apps, website and integrations with third party systems all managed from one interface. That’s simplicity.  ParkingCloud’s integration network lets you leverage your existing equipment or add any new sensor or data set and manage your guidance and data in one place. 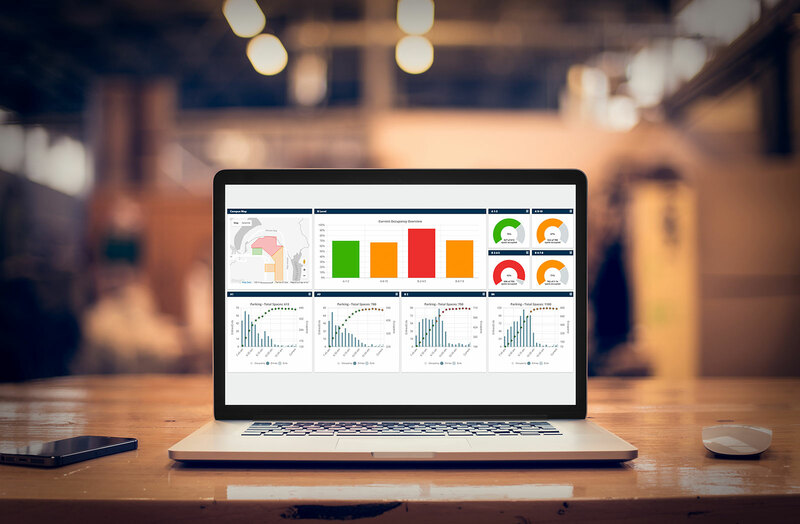 Giving you the information you need to proactively manage your operation in real-time and make better, more proactive, data-driven decisions, quickly and easily. 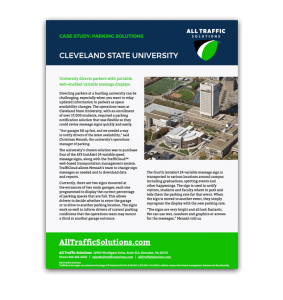 ATS’s ParkingCloud makes enterprise-grade parking availability and guidance accessible to everyone, from the smallest operator to the most complex city or campus.  Our scalable model includes encryption of all data transmissions in transit and at rest in an available CJIS-compliant infrastructure. Our flexible security model can support five different levels of end-user access.  Custom configured without costly customizations. Our custom-configured solutions provide you with the greatest degree of flexibility to ensure the best-fit technology solution is deployed to optimize your parking operation. At ATS, we know that every parking operation is unique, so we work to understand your environment, technology, needs, requirements, and goals, and recommend the right technology for each situation. 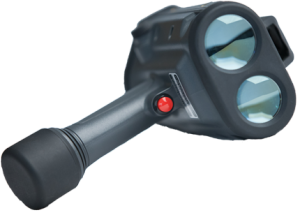 Our open systems ensure that you have access to the widest variety of sensors, guidance and data to ensure success. This means our recommendations are based on your needs, not our products.  So while our solutions are custom – configured, because our integrations are pre-built, you avoid expensive customization costs. 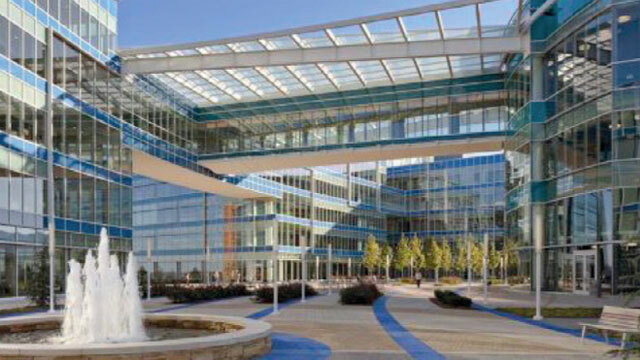 ATS specializes in building best-fit parking guidance solutions for operations of any size. We work closely with our clients, analyzing and understanding their needs before recommending the right ‘best-fit, best – technology, budget-friendly’ solution. 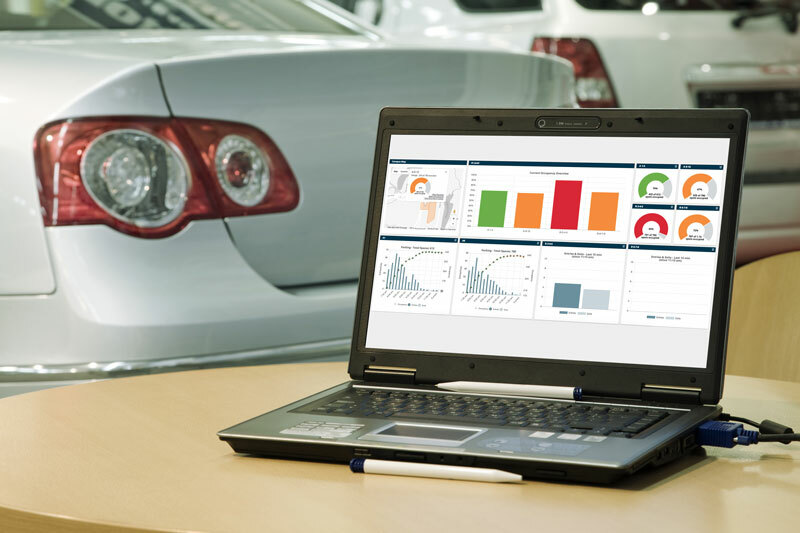 Understand your inventory and availability in real time, using cost-effective sensors, real-time data collection and customized vehicle guidance systems. 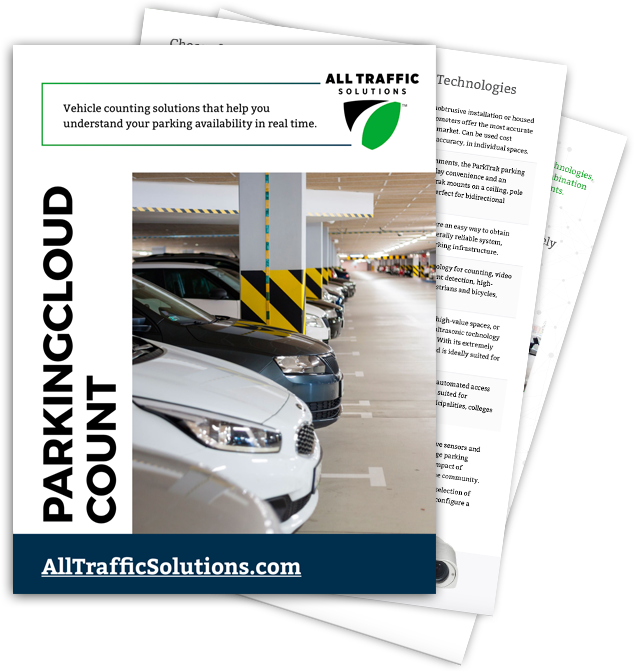 Combine ParkingCloud Count with our other cutting-edge parking guidance, access systems, safety solutions, and reporting and analytics for seamless, end-to-end parking availability management—for your customers, employees, students and the community. 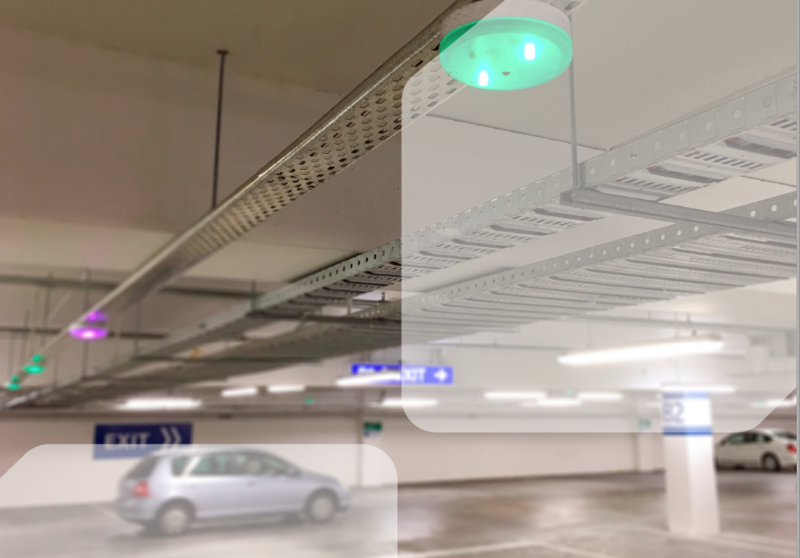 With the widest range of counting devices to choose from, ParkingCloud’s open architecture allows us to design a best-fit solution configured to your environment. 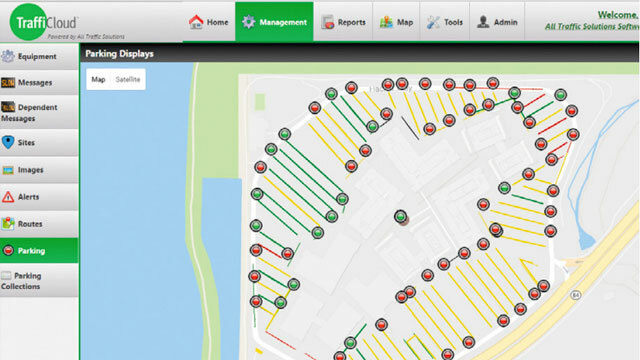 Feed your parking guidance system with real-time occupancy data—on your entire parking inventory—at your fingertips, in the cloud, available from any connected device. 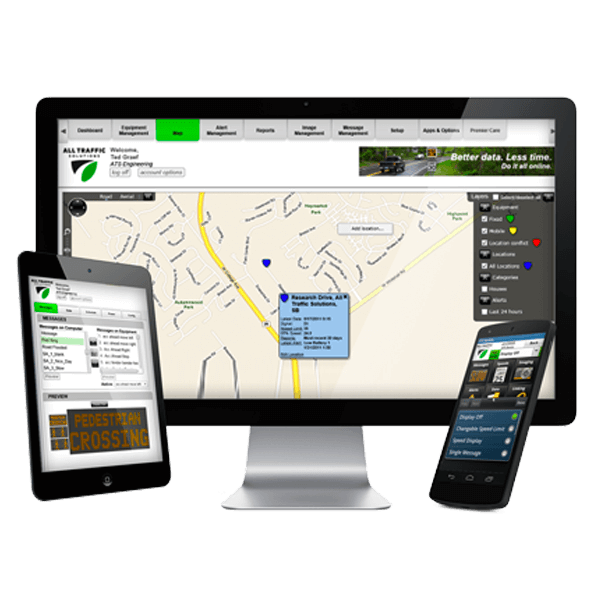 Provide drivers with real-time parking availability, whether they’re in the yard, outside the gate or nearing a rest stop.  For shippers, real time availability combined with guidance means your operations maintain maximum efficiency even during wait times. 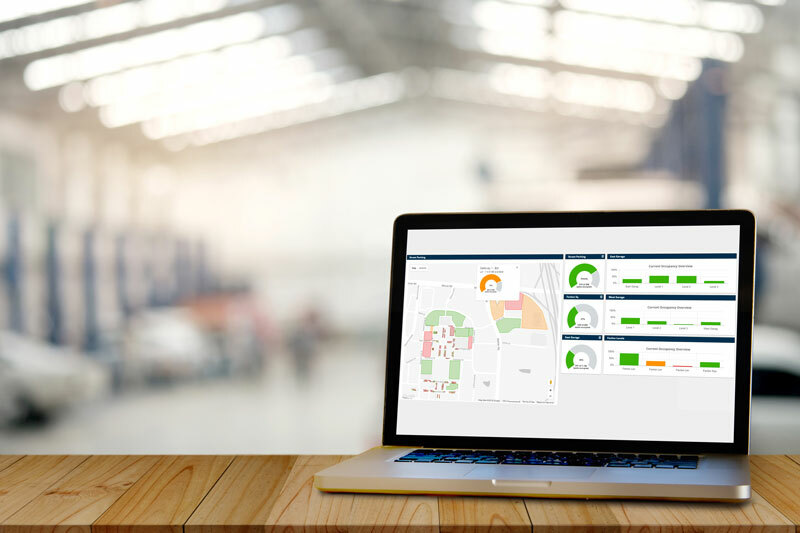 With a sensor-agnostic approach to real-time availability and guidance, a seamless integration with traffic management platforms or existing signage ensures cost effective affordable real time cloud based truck parking availability. 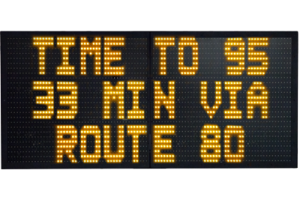 VIRTUAL DRIVETIMES: High-visibility message board notifications let parkers choose the best route as they leave your facility. Ideal for airports, events, corporate environments and more. Save time, energy and effort by finding available spaces quickly, easily and hassle-free, improving the entire customer experience. Reduce congestion, emissions, and unhappy motorists with enhanced traffic flow throughout your city. 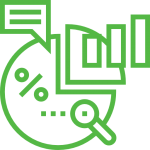 Leverage data and analytics to drive proactive decision making, including pricing, space planning, yield management and inventory allocation decisions. 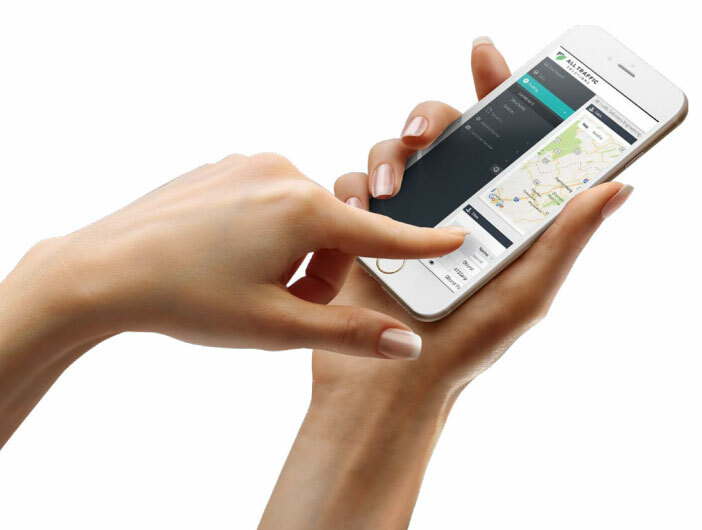 Employees find spaces faster with cloud-based parking notification system. 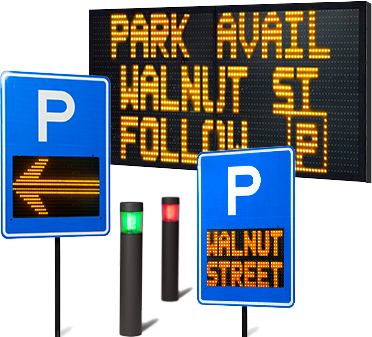 University directs parkers with portable, web-enabled variable message displays. 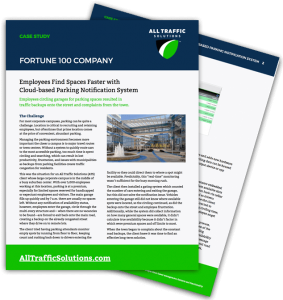 Cloud-based parking availability solution solves optimization challenges on a crowded corporate campus so employees arrive at their desks on time. Relying on estimated parking availability data is old school. 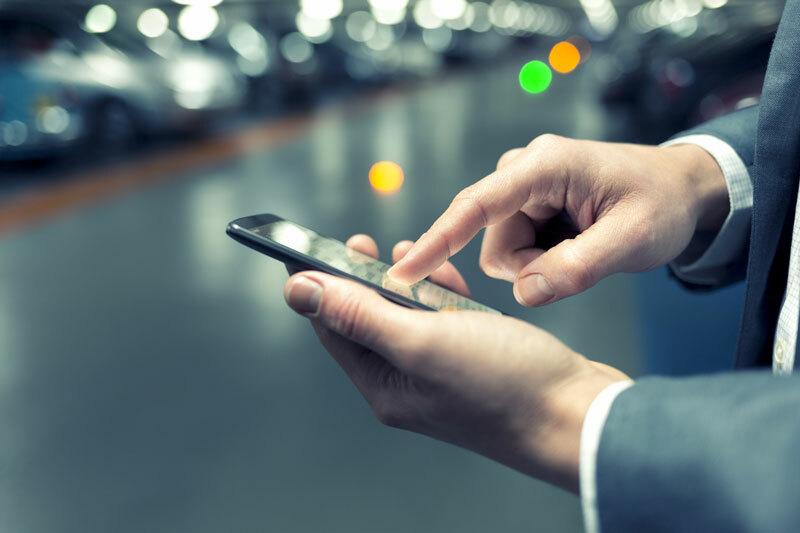 Find out how you can transform your parking operation, gain efficiencies and provide a superior customer experience by leveraging connected parking systems and real-time data, as well as build your business case for more accurate availability and guidance solutions. 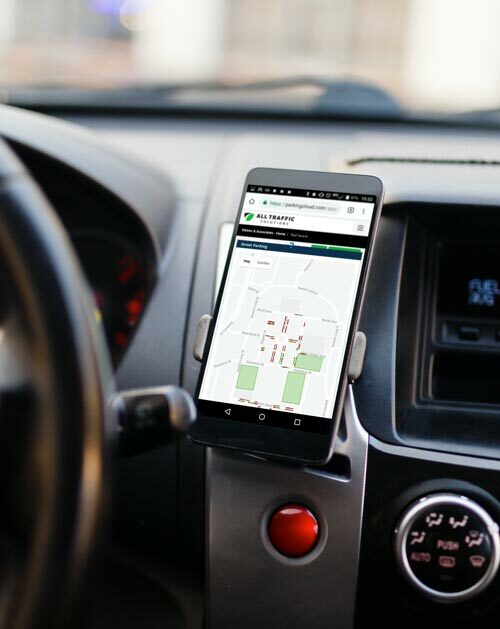 Learn how open platform technology can help you make sense of parking availability and guidance solution options and seamlessly integrate the “best fit, best technology” into one flexible solution—that addresses the challenges you have now and will adapt for your future needs. 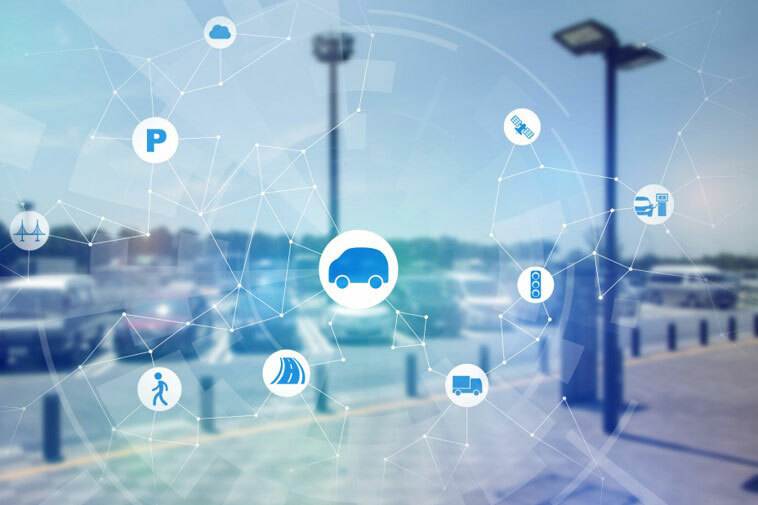 This paper fills you in on all the latest IoT innovations in parking management for parking availability and guidance including occupancy counting, tracking and reporting, integrated wayfinding solutions and tools to maximize parking revenue. 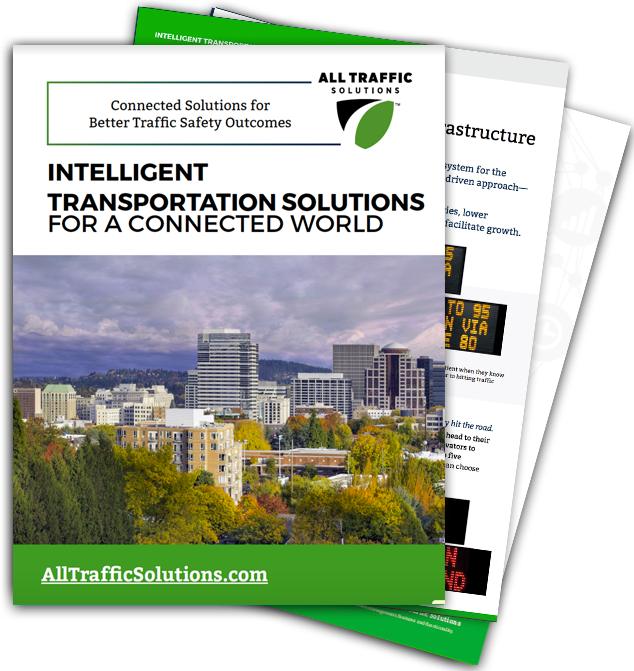 Flexible, effective traffic management solutions that leverage easy-to-use technology, portable, web-enabled traffic devices and real-time data to manage traffic flow, reduce congestion and emissions, and automate driver and pedestrian communications. Our mission is to help communities get drivers to their destinations in the most timely, safe and hassle-free way. 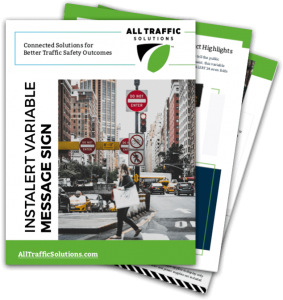 Whether you’re a big city, fast-growing county or a village in Small Town, USA, you need simple, effective traffic management solutions that get results now, not next month or next year. Real communities everywhere depend on ATS cloud-based, data-driven traffic management solutions and portable, web-enabled traffic devices to make it easier to manage traffic flow, lessen road congestion and deliver just-in-time notifications to drivers and pedestrians.  Get the solutions, products and services that are right for your traffic challenges, your budget and your objectives. When traffic flows smoothly, safely and hassle free, your community thrives and becomes a better place to live, work and visit. 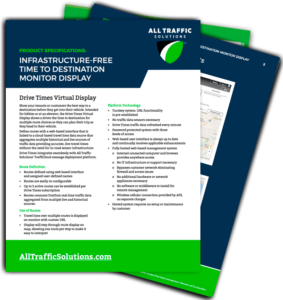 Monitor and manage traffic flow throughout your purview in real time. 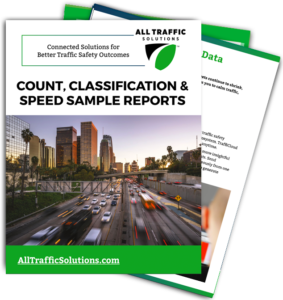 Roadside vehicle counter classifiers that install fast wherever they’re needed. Reroute trucks away from local roads and divert traffic from accidents and congestion. Spot today’s trends based on classification, direction, lane and time of day before they become tomorrow’s problem areas. Tell the public what they need to know, when and where they need to know it. 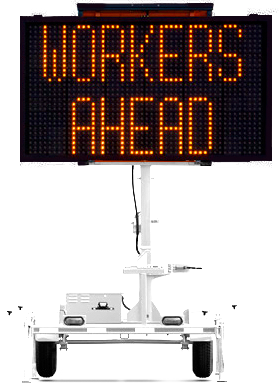 Communicate vital information to drivers and pedestrians on the road or at events, work zones and wherever you need to convey instructions. 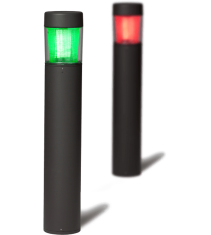 Provide alerts and traffic information with our conditional sensor messaging solutions. 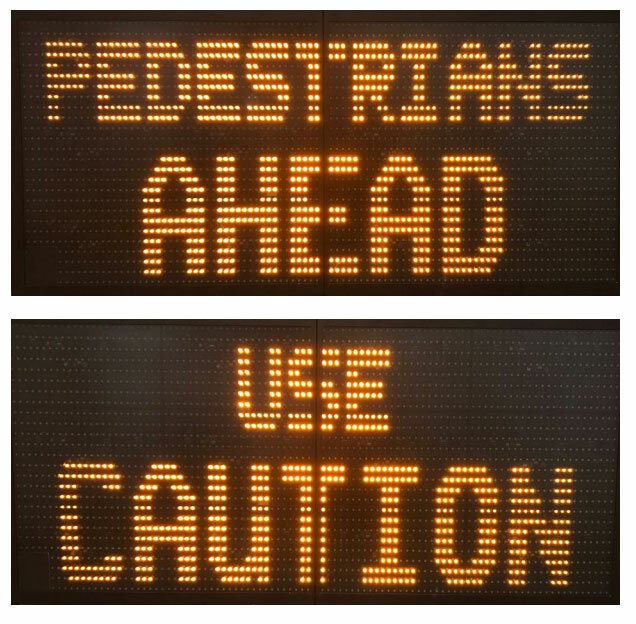 Change messages as information changes—on one sign or all of your signs—in seconds. 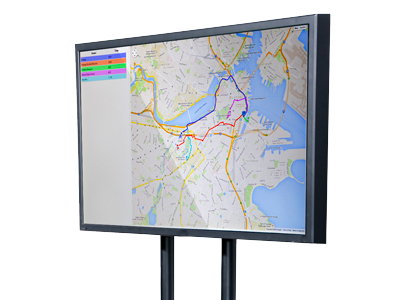 Incorporate sensor or network data into messages displayed on variable message signs and large-format message boards. 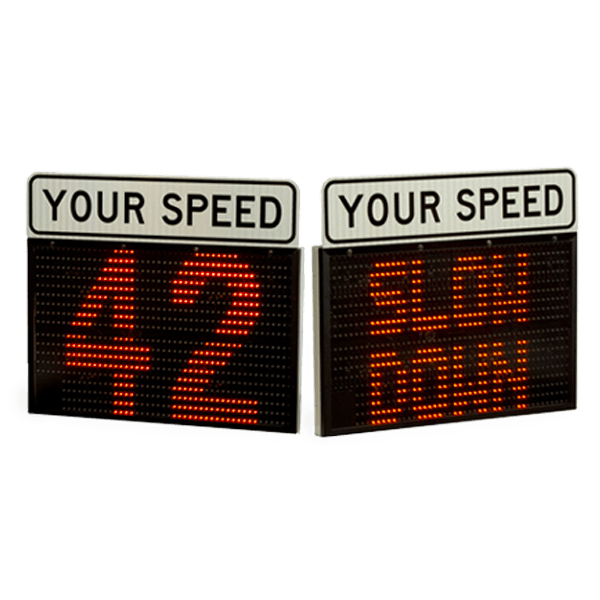 Display travel times, accident and delay notifications, road surface or air temperatures, timer values, wait times, weather or emergency alerts, vehicle weights, parking availability and more. Drivers are more patient when they know about travel times and delays. 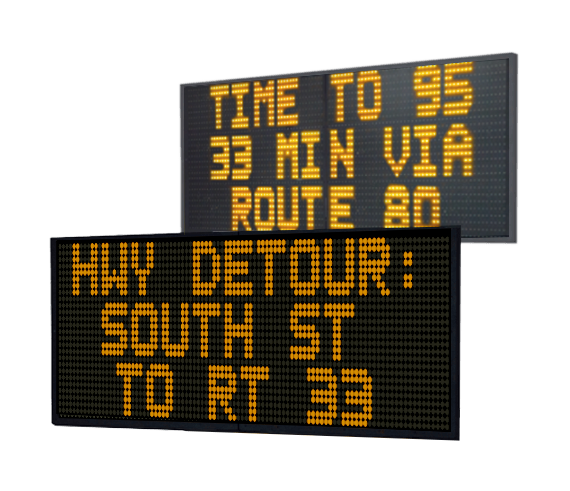 Show up-to-the-minute travel times for custom routes on portable, connected variable message signs. Information is updated continuously in TraffiCloud™—with no sensor infrastructure. 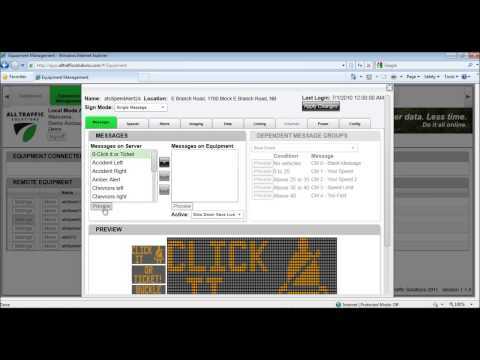 Configure routes using TraffiCloud to display real-time messages. 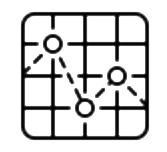 Dynamically share the best route, based on current travel times. 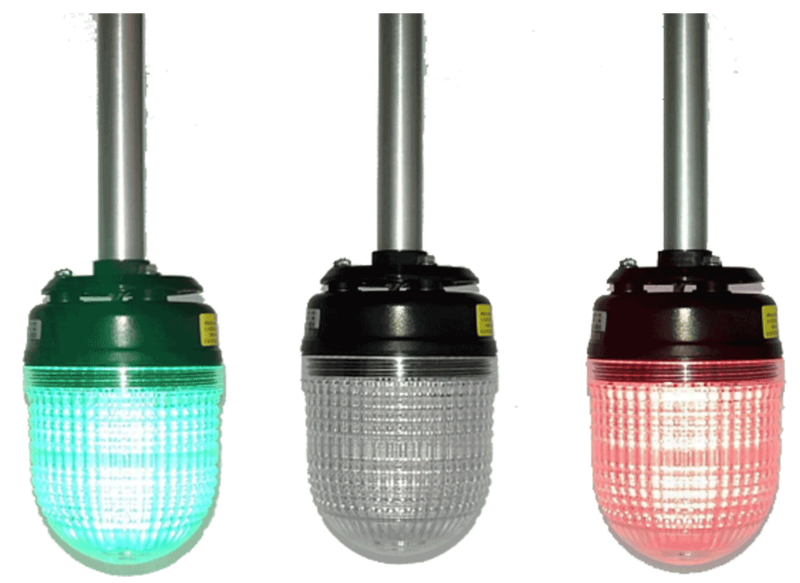 Easy to configure and practical for use on roads, in parking facilities or in work zones. Help drivers select the best route before they hit the road. Alert drivers to the best exit strategies as they head to their vehicles. Display up to five different options with the travel time for each so drivers know the best route. Reduce downstream congestion and keep traffic moving. 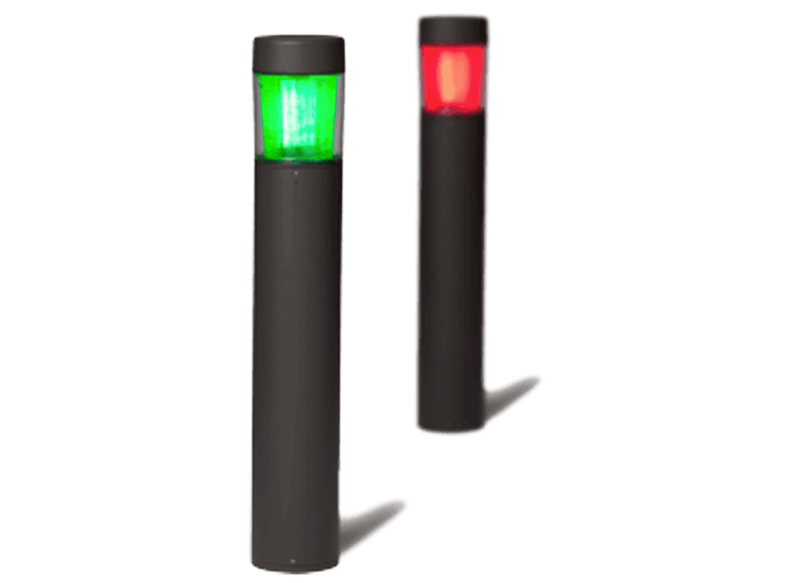 Perfect for office building lobbies, travel centers, event venues and parking facilities. Portable, durable, web-enabled traffic devices you can program from anywhere with an Internet connection and browser. 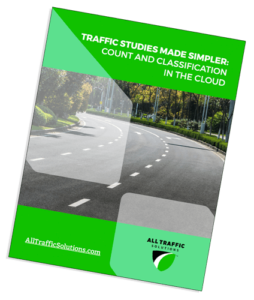 Gather data remotely with TraffiCloud. 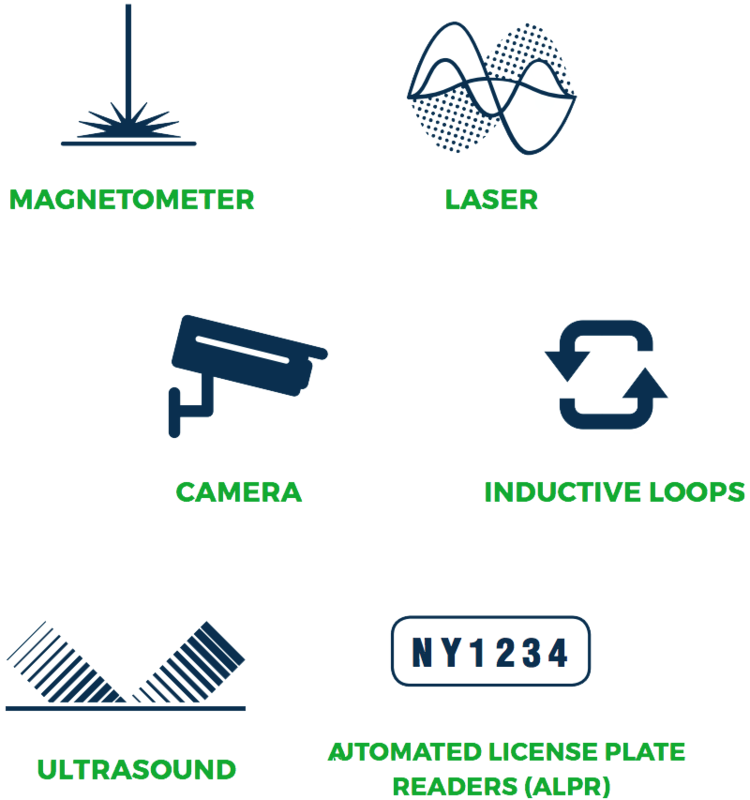 All ATS products are engineered and manufactured in the USA and are MUTCD compliant. 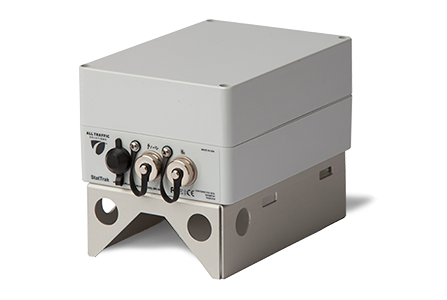 Small, portable multilane, bidirectional traffic data gathering devices use non-intrusive sensing technology for moving vehicles, queued and stopped traffic. Easy roadside field setup in as little as five minutes on pole, post, trailer or median. Run on extremely low power, ensuring operational safety during installation and data retrieval. 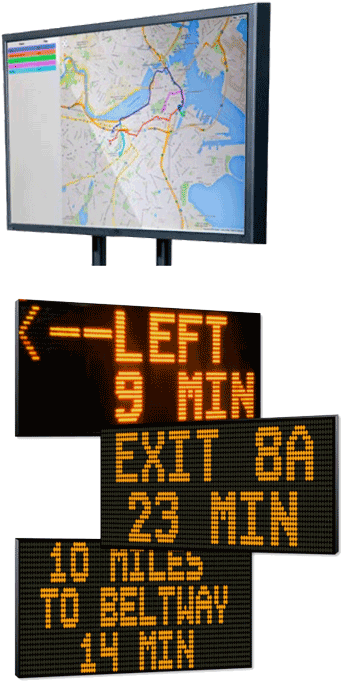 Web-enabled variable message signs are portable (folds to fit in your trunk), and with large-format message boards for high-speed traffic areas. Program and schedule messages remotely. Change one or all messages simultaneously without driving to each sign. 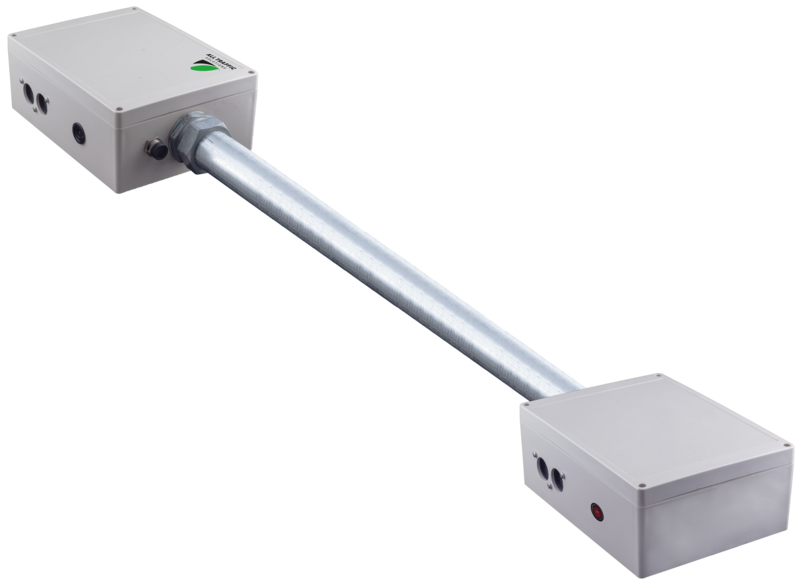 Mount on portable pole, post, trailer or vehicle for notifications where and when you need them. Available with NTCIP compatibility. Make more insightful decisions based on data and analytics from all your program components. View dashboards of all collected data, or just one traffic device. Generate reports in seconds and share via email—all from the same screen. 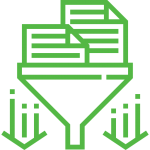 Streamline workflows, improve efficiencies and optimize resources. 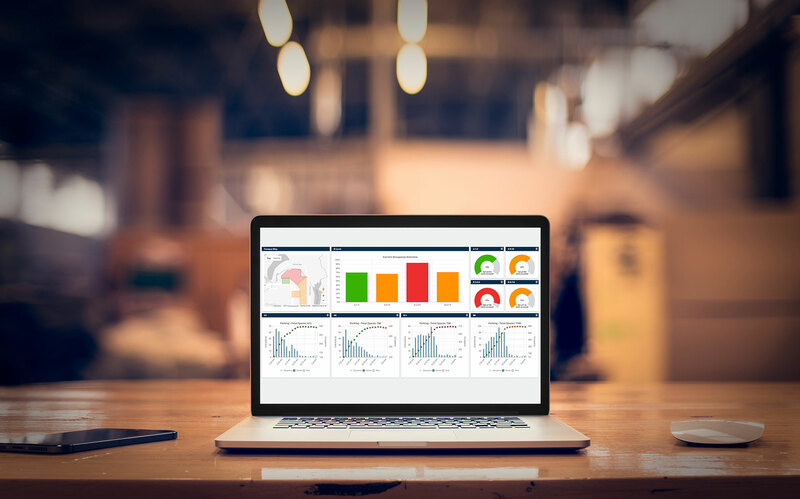 Remotely access, monitor and manage all connected devices and dynamic messages from one central dashboard. Provide real-time notifications of high-risk events for real-time incident management. 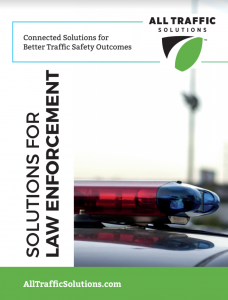 Easy-to-implement, budget-friendly traffic safety solutions that leverage cloud-based technology, portable, web-enabled traffic devices and real-time data to reduce speed, communicate with drivers and pedestrians, and pinpoint enforcement priorities. When roads are safer, your community becomes a better place to live and work. 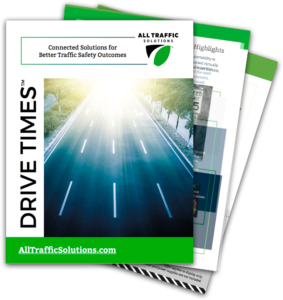 Whether you have highways running through your city or your small town is miles from the interstate, you need simple, proven traffic management solutions that get results now, before more incidents occur. 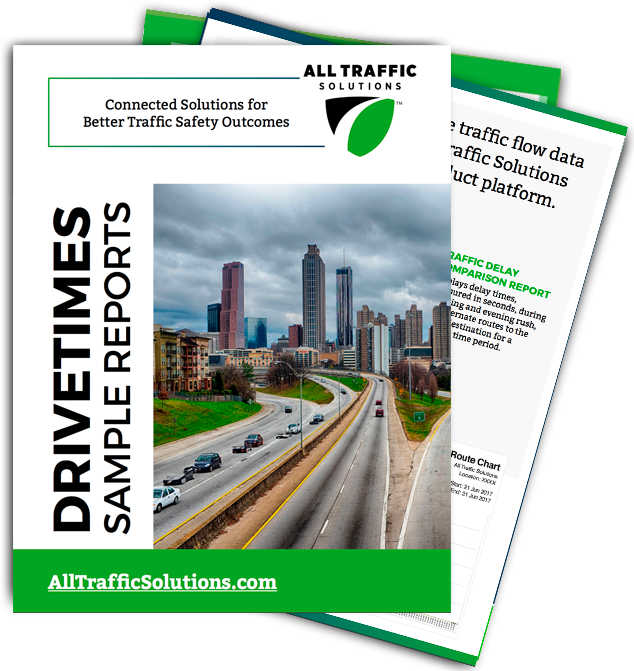 Communities, campuses and facilities of all sizes rely on ATS cloud-based, data-driven traffic safety solutions and portable, web-enabled traffic devices to automate traffic safety, making enforcement more effective, staff more efficient, and community relations stronger so everyone benefits. 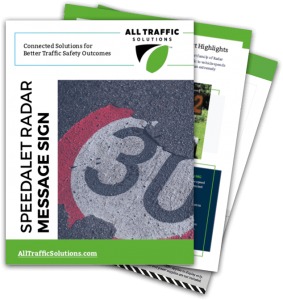 Build your right-size, right-fit traffic safety solution that helps you to reach your goals and solve the safety issues that matter to your community. 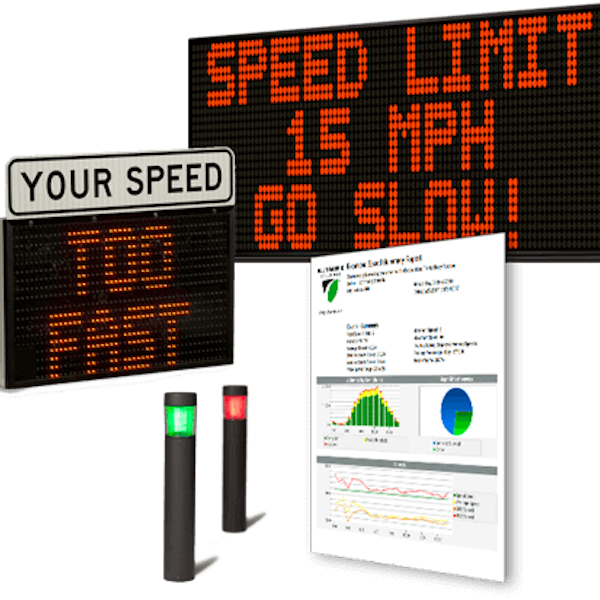 Portable, connected radar speed displays, variable message signs and other highly configurable traffic devices you access and monitor from any Internet connection and browser, combined with real-time traffic data from the TraffiCloud™ remote traffic management system. 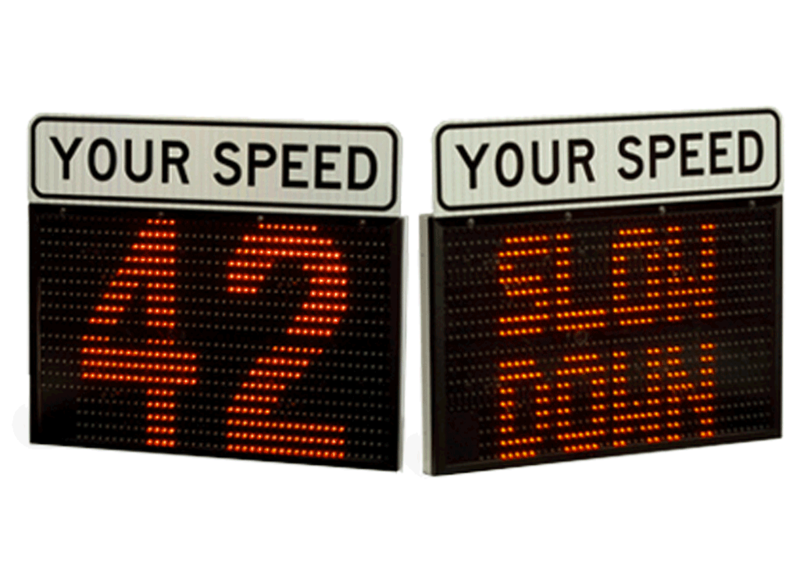 Slow speeding drivers with radar message signs that display driver speed and speed-dependent messages, along with flashing strobes. 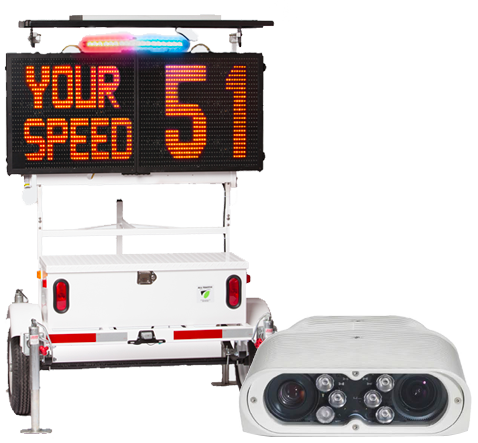 Conduct fast, accurate speed studies with roadside counter classifiers or with radar speed signs that collect traffic data in stealth mode. Clear speed-related complaints, strengthen community relations and demonstrate where a full traffic study may be needed. Connect handheld Lidar to an Android device for uploading records, notes and images from each speed enforcement session. Prevent dangerous situations from escalating with wrong-way direction, warning drivers and alerting authorities and other vehicles. 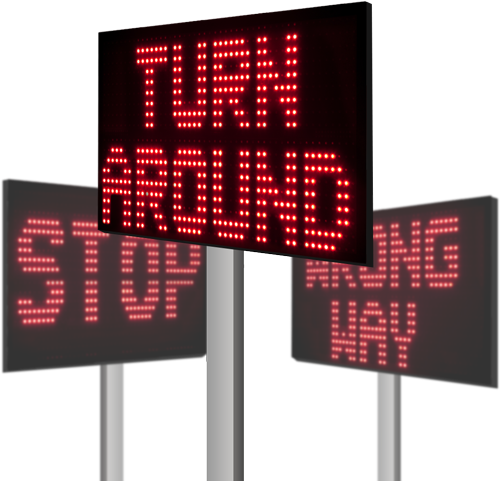 A flashing system-triggered LED message and beacons warn the approaching driver to turn around. 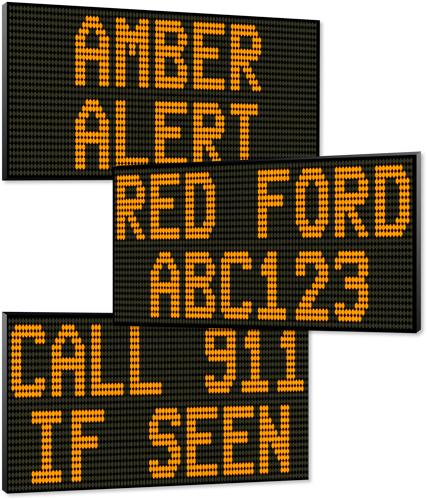 If the driver passes the sign, a second sensor sends a text or email alert to designated responders to intercept the vehicle. 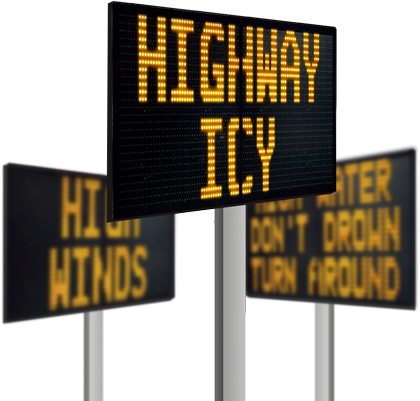 System alerts other vehicles via variable message signs and social apps so they can take caution. Provide safer work zones for workers, vehicles and pedestrians. 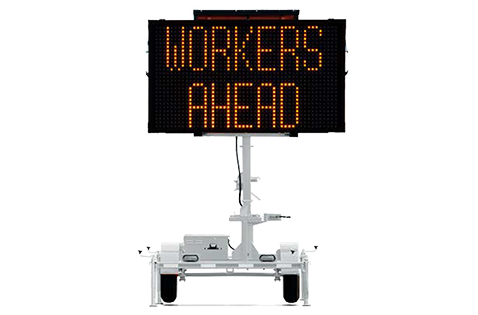 Notify drivers before they enter work zones with variable message signs deployed on portable posts, poles, trailers or work vehicles. 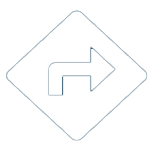 Use conditional messaging to provide alternate routes to bypass work areas. Radar speed displays with Audible Alerts you schedule from anywhere integrate with your beacons and activate when a speeding vehicle passes the sign—alerting the driver to slow down and warning pedestrians to get to safety. 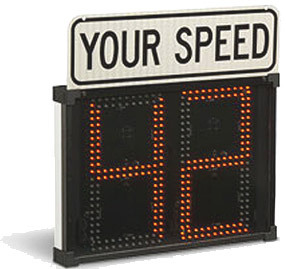 Display timers count down the seconds before drivers must stop to let others through. Grab their attention; keep students safe. Alert sounds when speeding drivers are near so students can find safety. 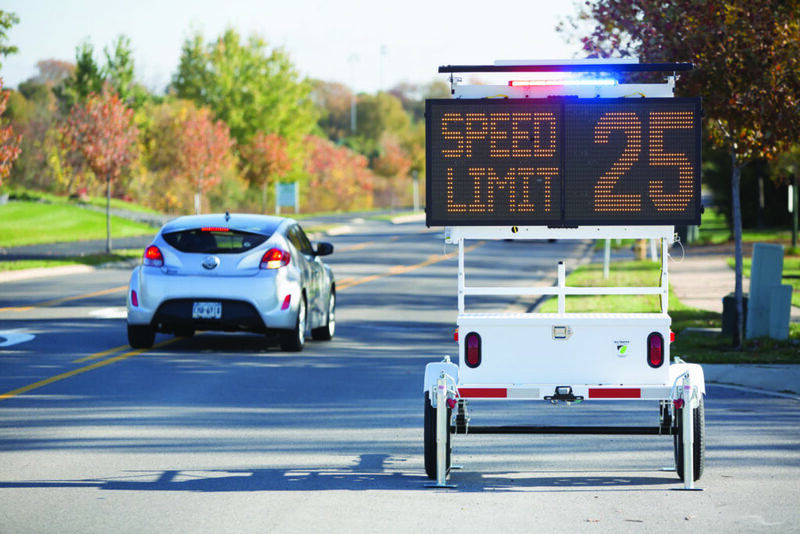 Set alerts to law enforcement so that officers can track down speeding vehicles. Step up enforcement with optional ALPR for your ATS 5 Trailer. Know who’s on your streets or campus. Capture license plates at high speeds. Cover major access points for wanted vehicles. 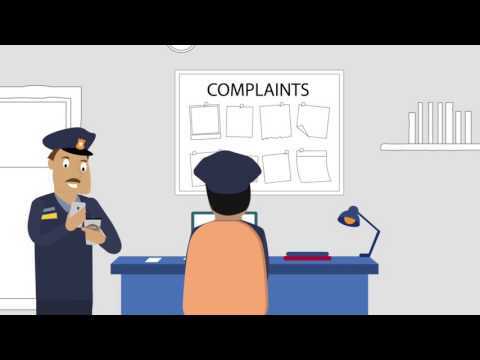 Locate vehicle owners who have outstanding warrants or unpaid fines. Conduct crime and convoy analysis to speed up investigation. 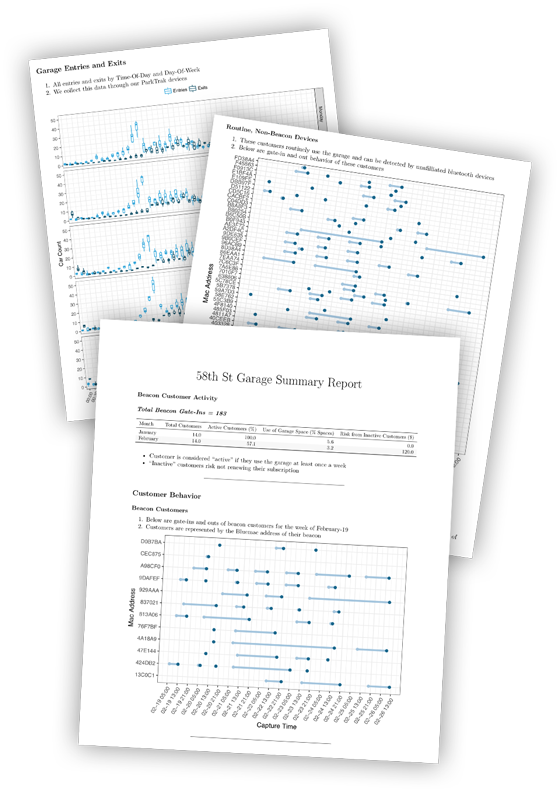 Generate, download and distribute reports in seconds from anywhere. 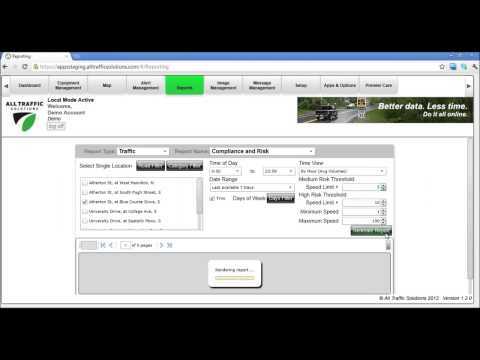 Run speed, volume and enforcement reports on the fly to monitor locations in real time. 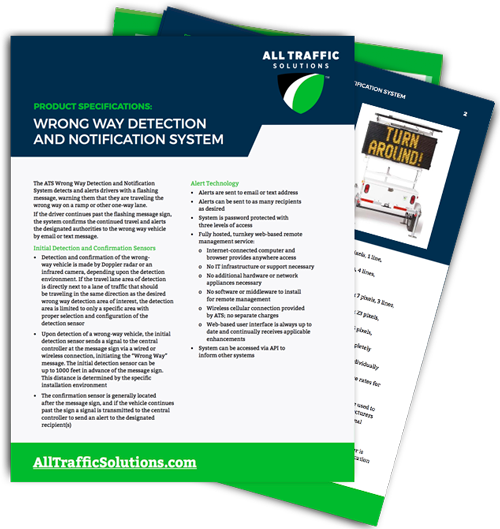 Run comparisons, track trends, identify potential issues and prioritize enforcement. 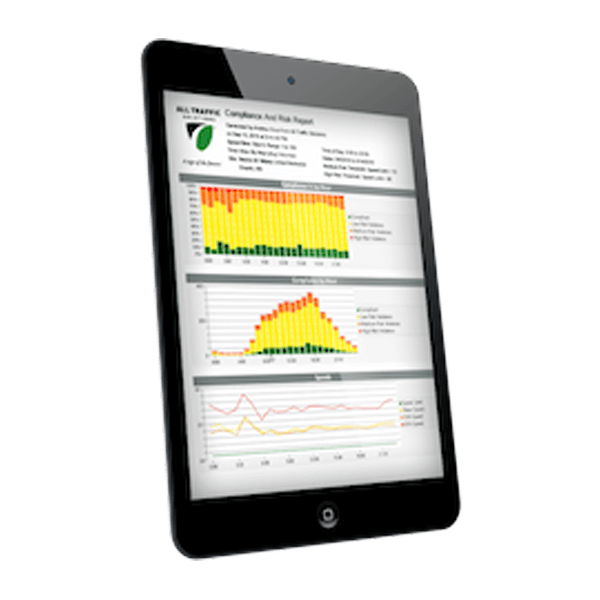 Set report criteria, including location, dates, days and hours and speed thresholds. Set subscriptions to email reports to you and whomever you designate. Portable, durable, web-enabled traffic devices you can program from anywhere with an Internet connection and browser. 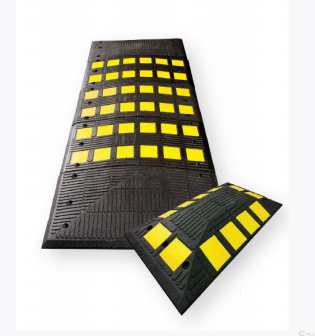 All ATS products are engineered and manufactured in the USA and are MUTCD compliant. 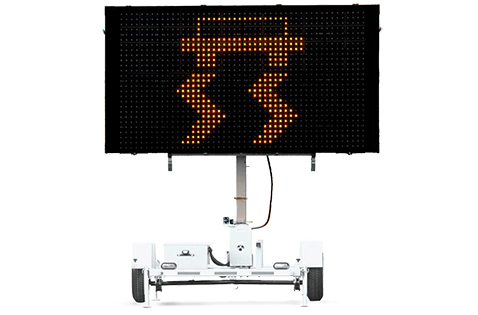 Versatile traffic calming tool combines radar feedback with variable messages. 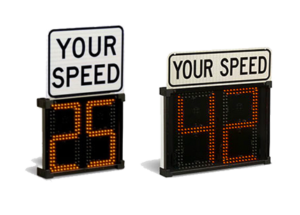 Display driver speeds and speed-dependent messages, or collect data in any display mode, prioritize enforcement, and resolve speed complaints without deploying an officer to gather data. Mounts on portable pole, post, trailer or vehicle. 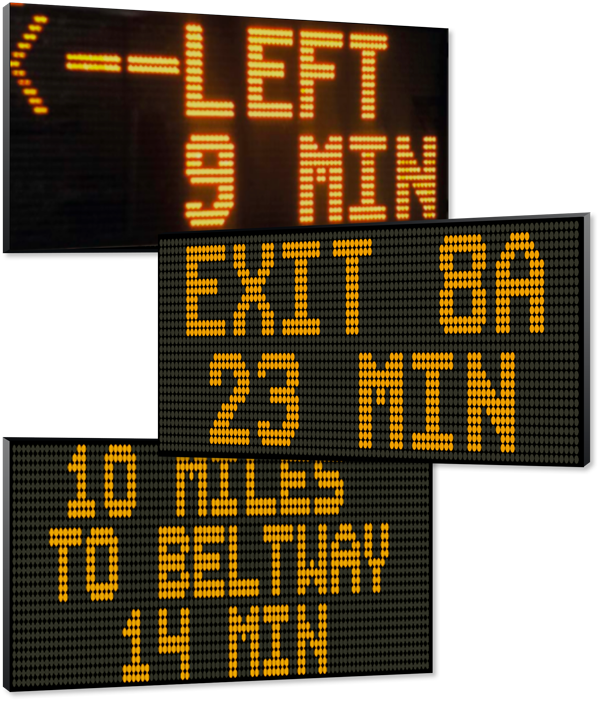 Web-enabled variable message signs are portable (folds to fit in your trunk) with large-format message boards for high-speed traffic areas. Program and schedule messages remotely. Change one or all messages simultaneously without driving to each sign. Mount on portable pole, post, trailer or vehicle. 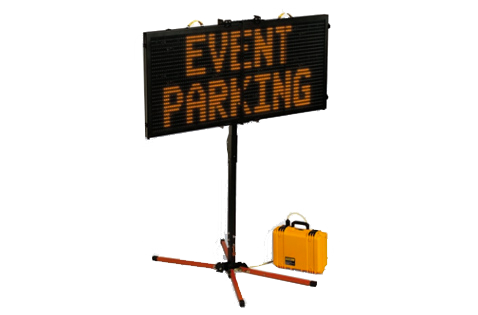 Extreme portability in a compact, lightweight sign that mounts virtually anywhere in about 30 seconds with the integrated mounting system. Achieve up to several weeks of battery run time, or use with solar panel for virtually unlimited power life. 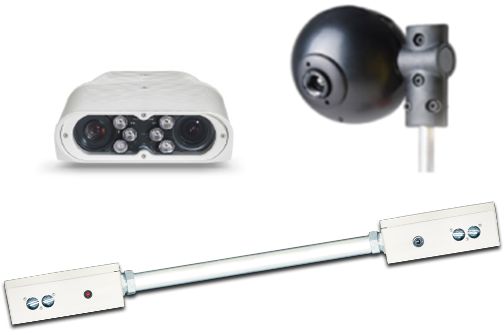 Rugged, lightweight, easy to use, and available in standard and compact models.  Combine either DragonEye model with the TraffiCloud web-based remote management service to automatically upload data, optimize enforcement and data collection processes and increase data accuracy. 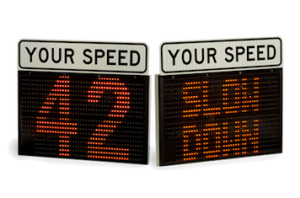 Incorporate sensor or network data into messages on variable message signs. Information can include digital inputs, analog inputs or serial strings. 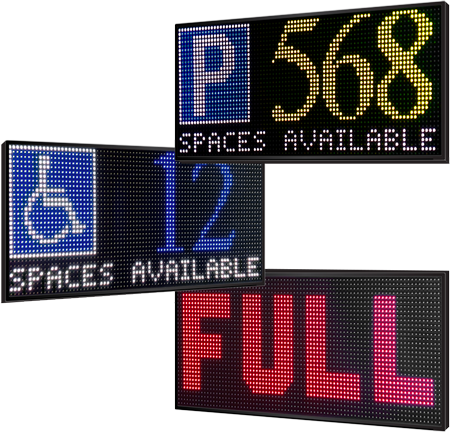 Signs can display such items as time-to-destination, road surface or air temperatures, timer values, wait-times, weather or emergency notifications, vehicle weights, available parking spaces and more from a variety of device sensors. Conditional sensor messages provide real-time awareness and the data can be incorporated in any position within a message. Sensors can be connected directly to the message sign or message data can also be sourced from the TraffiCloud Web-Based Remote Management System allowing for amazing flexibility. The TraffiCloud also allows for the collection of sensor data and the interaction of data from multiple sources. 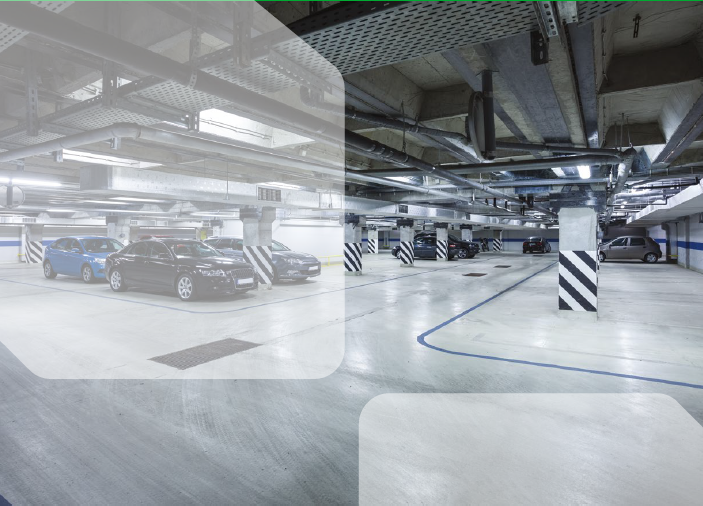 Our connected parking availability and guidance solutions let you solve your most complex parking management challenges. 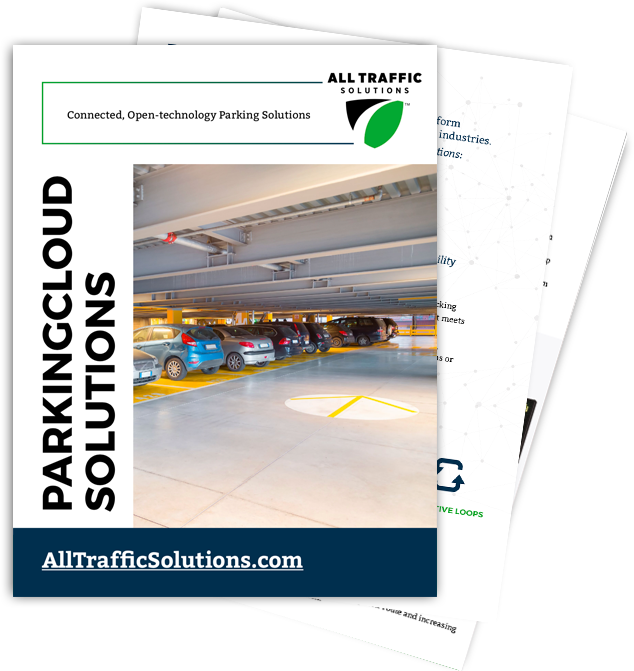 ParkingCloud™ is the only cloud-based IoT platform purpose-built for the parking and transportation industry that integrates all your devices, data and output in one place. Access accurate automatic, real-time vehicle counts anytime, anywhere with the widest selection of devices to choose from. 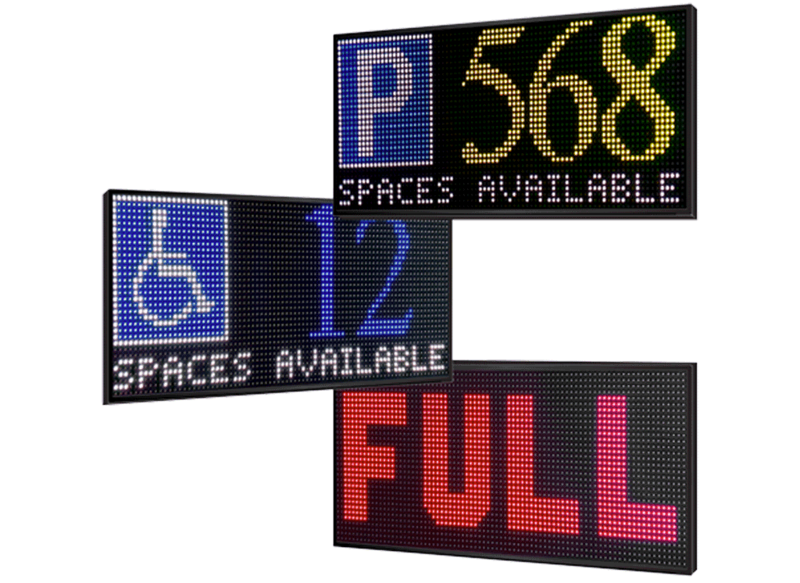 Communicate up-to-the-minute parking availability with drivers based on live data via variable message signs, your parking app or your website. 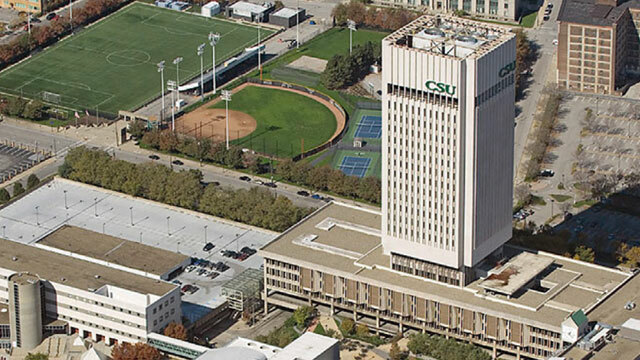 Broadcast availability at the space, level or zone—or across town, campus or facility. 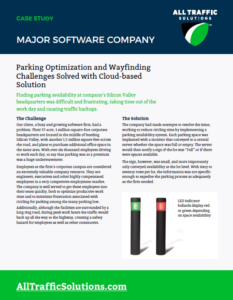 Optimization and wayfinding challenges solved with cloud-based parking availability solution. 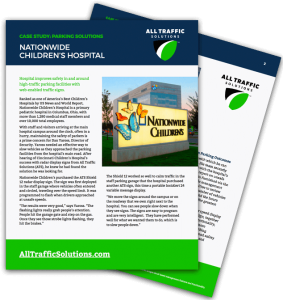 Hospital improves safety in and around high-traffic parking facilities with web-enabled traffic signs. 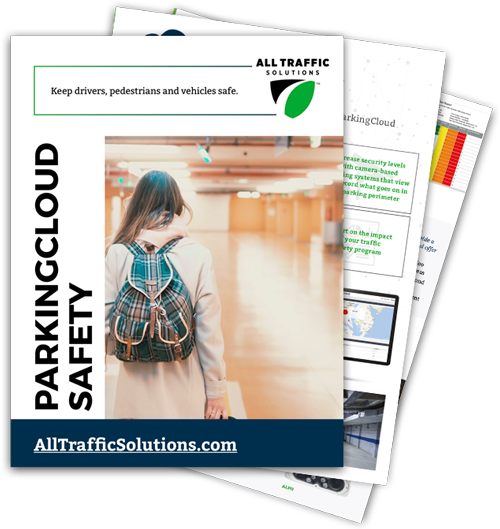 Practical steps to optimize parking availability, communicate information and alerts, calm traffic and improve safety utilizing cloud-based parking and data integrated with your devices. 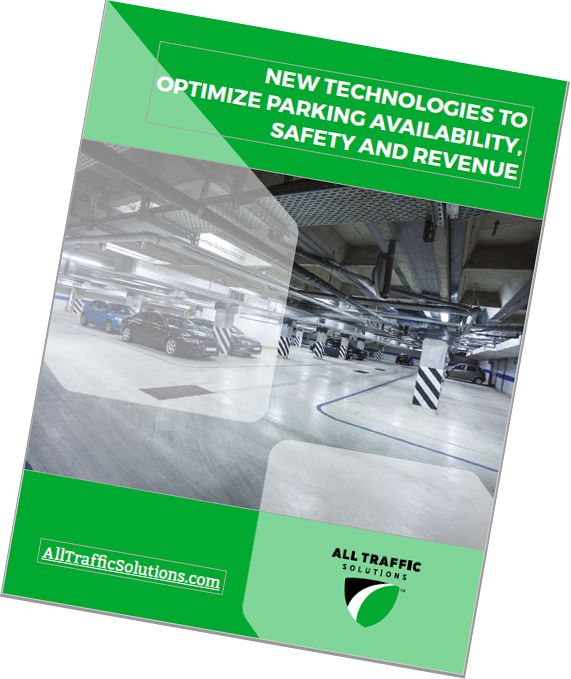 This paper fills you in on all the latest innovations in parking management, including parking availability, tracking and reporting, integrated guidance solutions and tools to maximize parking revenue. Learn how cloud-based solutions, sensor technology and web-enabled signs are allowing parking operators to optimize parking operations by communicating timely information to drivers.